The Food and Drug Administration (FDA) has sent warning letters to multiple companies involved in the distribution of products containing cannabidiol (CBD). fdaThe FDA sent warning letters today to four CBD-related companies claiming them to be making unsubstantiated claims “related to more than 25 different products spanning multiple product webpages, online stores and social media websites”. The companies are Natural Alchemist (California), Greenroads Health (Florida), That’s Natural! Marketing & Consulting (Colorado), and Stanley Brothers Social Enterprises LLC (also Colorado). According to The Cannabist, the FDA issued similar warning letters to CBD product makers in 2015 and 2016. 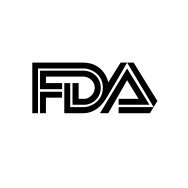 The post FDA Sends Warning to CBD Companies appeared first on TheJointBlog.